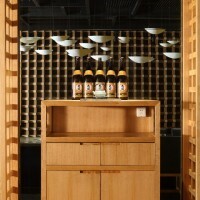 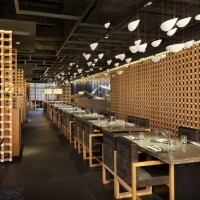 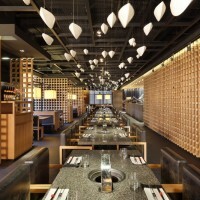 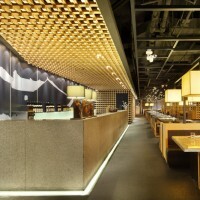 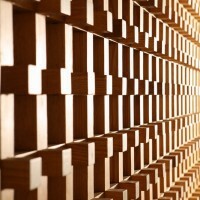 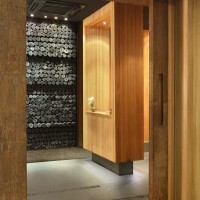 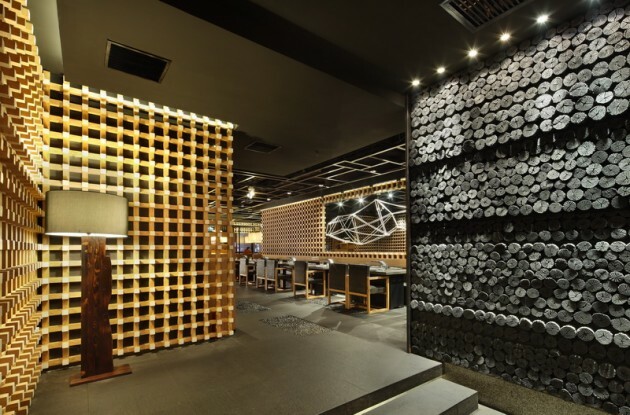 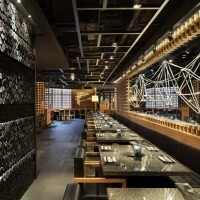 Golucci International Design have completed the interior of the Yakiniku Master Japanese barbecue restaurant in Shanghai, China. 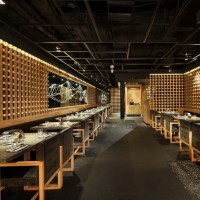 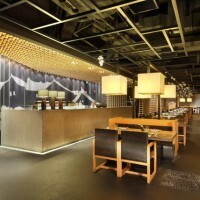 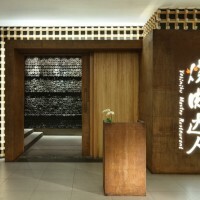 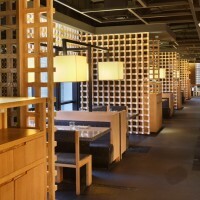 YAKINIKU MASTER Japanese barbecue restaurant in Shanghai Tianyaoqiao road, this young brand, founded in 2007, this project is the third branch of the YAKINIKU MASTER in Shanghai. 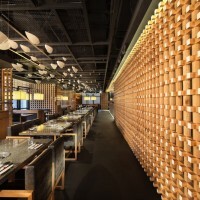 Brand owners aspire to Japanese Zen transplantation with the concept of south China’s country style to Shanghai, so that guests enjoy the meal in a comfortable and elegant space at the same time feel the atmosphere of culture. 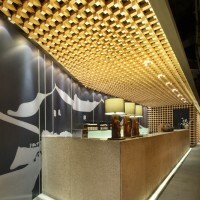 Designer Lee Hsuheng use of modern techniques to interpretation of the basic frame structure of traditional Japanese architecture, a large number of simple wooden framework of the performance aesthetics of building structures, the other showing the curve of the south of Chinese building roof with ink, the curve from the roof tiles in accordance with the beam the rack layer heightening, thereby emphasizing the beauty of this curve in the Chinese architecture construction almost incredible simple and natural. 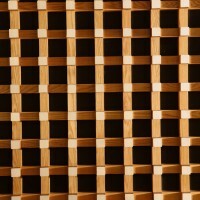 Visit Golucci International Design’s website – here.